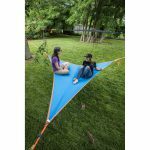 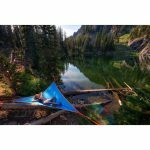 This double hammock can be set up by itself or in stacking layers with other Tentsile tents and hammocks. Floor area 40 sq. ft.